Does data or design rule supreme for us product folk? When we’re deciding what to work on or how to create whatever we’re creating… which do we lean towards? Firmly on the data side was Marty Kemka from Northraine. Marty is a data scientist and entrepreneur. He’s worked on projects where something needed to shift and he says as long as you know the metric & design the experiment properly, the data should be able to show you the way. On the design side, from Cogent, Amelia Crook is very interested in what human need is being solved and thinks people leave a trail of data but that data can’t give you the insight as to why the person has done something. The why is what gets you to the need. Also, Steve Bauer was sitting on the design side. Steve also wants to understand the human element, is appreciative of qualitative research & yet knows his way around the numbers. And finally Jane Register who has a design background and said she was also representing design. She’s previously worked with qualitative research but currently works on a product with lots of data. She has more data available now than ever before and finds that exciting. FYI Jane & Steve work together at Aconex and prior to the event, Steve thought Jane would absolutely be on the data side. Jane later talked about how as a UX designer, she can’t have data without design nor design without data. For her you need to data to tell you some things but you also need the ‘why’. We also had a great facilitator for the evening, Jane Scowcroft from Data61. Everyone had a card to vote if they were ‘data’ or ‘design’ and the initial check suggested most were leaning towards the data side. Our unscientific count was data in the lead at maybe 60% of the audience. The subsequent discussion may have gotten us to a different outcome!?! Delving into the data isn’t easy according to our design folks. You need to know the context of the questions asked, if the data is spread across different tables or db & there will be back & forth between you & the data analyst in order to even craft the right questions. You can get lost down data rabbit holes. Marty agreed that it needs to be a collaboration with the data analyst because you need to realise there will be database changes to work with, you need to know the context of when an event happened, you have to really understand what you’re measuring and what confidence level you have in all this. We also touched on using the data to tell the right story of your product. How are you measuring success, what are you optimising for and is that in the context of your product, your department or the entire (especially when large) organisation? About half way thru the evening, another audience check had us about 50/50 split across data v design. We see the value of bringing data scientists & analysts into the design fold to help them do their jobs better. Marty recounted a project he worked on where he went out to the field to see how things where done which then greatly helped when he was back at his computer. Over the years it’s been about getting developers to understand the customers more… now we need to bring along the data folks. Amelia mentioned that looking at an excel sheet doesn’t help you connect with your users. You don’t gain a lot of empathy amongst the cells and rows! Taking folks out in the field so they can meet users is great motivation for wanting to solve that problem for the user. At the end, the panel couldn’t help itself and admitted needing both data and design to get a great outcome in your product world. I think maybe even Marty started coming around 🙂 And our audience was pretty even 50/50. Thank you to Jane! Thank you Amelia, Jane, Marty & Steve! Thank you Data61 and Intrepid Group for sponsoring the evening!! Who has the upper hand? UX or Product? As we all strive to make a successful product, tension between team mates is inevitable and can help get to a better solution. Or not. 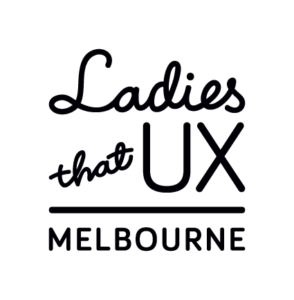 Inspiration for this panel discussion comes from conversations where 1 role thinks the other has more control so we’re teaming up with Ladies that UX Melbourne to bring both sides together & discuss. How can we work together better? Have the roles & responsibilities become blurred causing confusion? What’s happening? How can we improve? Help direct the panel conversation by submitting your thoughts & questions now. On the UX side, we have Homaxi Irani & Louise Long. On the Product side, Nicole Brolan & Jen Leibhart . Thank you to Seek for hosting! We will be debating data vs design in product management at our March event. Join us Thursday March 22nd. We will have pairs of peeps from both sides of the divide from a couple of different companies, sharing their opinions on why one vs. the other and how they get to agreement in their day to day work. Amelia Crook is a product leader who enjoys solving complex problems and delivering elegant solutions. She’s done this for marketplaces like SEEK and Redbubble, publishers including Lonely Planet and Martha Stewart and ecommerce sites from the startup dstore to the giant Amazon. Amelia is currently a Product Principal at Cogent where she’s applying her skills to help startups focus and deliver and help teams upgrade their skills. She is passionate about building high-performing, diverse teams to deliver on goals and have fun along the way. 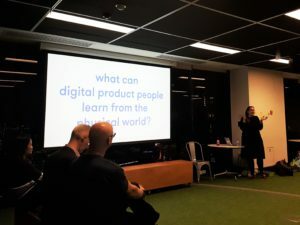 Jane Register is a Senior User Experience Designer at Aconex, currently focussing on enterprise data and insights products and context-aware services for the construction industry. Jane loves to eat danishes and dark chocolate, so ensured she studied at both the Royal Danish Academy of Fine Arts and Zurich University of the Arts. Jane uses her keen curiosity of human behaviour and a wonder of how things work to build meaningful experiences. Marty Kemka – founder of northraine, WeTeachMe and on the hunt to help 10,000 people learn about machine learning. As a data scientist & founder (aka THE product manager), Marty is in a unique postion. He has been building predictive models for longer than ten years at ANZ, credit bureaus like Equifax & international companies such as GE and The World Bank. He started northraine with the purpose to ‘ recondition the human condition’ and create the next version of consciousness. He’s looking to build innovative new models across any industry – if you have data, northraine can use it to help you make decisions. Steve Bauer works for Aconex as a Senior Product Manager, where he is focused on finding Data Insights for the construction industry. He loves it when customers find new ways to use his products to solve new problems. He started his PM career in London while working with companies such as Samsung, Symbian and Nokia. After meeting the Queen he returned to the colonies to write about himself in the third person. Thank you to our hosts Intrepid Group & Data61! We kicked off the year with ‘Building & Scaling Product Management Teams’ because it was one of the most requested topics in our year end survey and it’s something Rich Mironov knows a bit about as he often comes into a company to help them sort out their team (and of course product). After a quick review of what a product manager’s role is, Rich got right into the team aspect. Both problem finding AND problem solving are team sports, not only for you THE product manager. 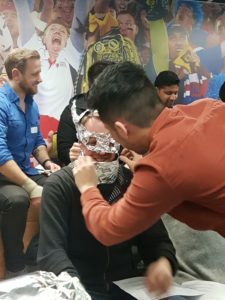 When there isn’t someone within the business who is knowledgeable about product management, you will find someone is ‘playing’ product manager. At a startup, the founder who has the passion for the problem & users will often be working on the product. A startup founder has a lot of other responsibilities so need to think about hiring a PM when the sales pressure is increasing, they need someone to help them FOCUS & scalability is needed – often this is somewhere between hitting 12-25 employees. Rich STRONGLY believes you need to bring in someone who with experience at this point – not someone with deep domain knowledge, not someone at the company in another role, not someone with a ‘scrum’ or ‘project’ word in their title but someone who’s been here & done that & has the scars. At any company, when it comes to building the product team. Rich believes it’s better to reduce the distance between the customer/user, the product person & the development team. His favourite structure for a team is a product person & the dev/ux/design/etc team to be close (physically & collaboratively) with the users via frequent learning conversations. He is not a fan of the customer feedback/problems/conversation filtered via sales or a single product person or marketing, etc. Which is when we hit the controversial part of the evening – Rich believes the ‘product owner’ job is setup for failure for several reasons including they don’t have time with customers to understand the problems before writing stories & they’re not focused on the end value but productivity focused. Instead of having the owner & manager roles as separate people, it should be the same person doing both roles. Lastly, we talked a bit more about the different roles in a product team. The product manager should be shipping great individual products, thinking 2-4 quarters ahead & is a relentless communicator of truth. The Director of PM should be focusing on processes, resources & the team. Budget & Strategy, planning for the next 6 quarters & ‘keeping the trains running’ are the focus. A Head of Product/VP is part of the executive team, focusing on aligning strategy, products & the organisation. Rich has posted the slides for your reference and perusal. And for those who couldn’t be there in person check out the full recording of the session. 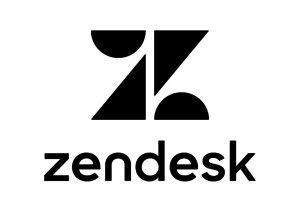 A big thank you to Rich & Zendesk for a wonderful evening!!! We’re thrilled to have the wonderful Rich Mironov able to join us for the 1st Product Anon of 2018! Rich spoke at one of our sessions back in 2014 and it’s awesome to have him back in town. If you haven’t RSVP’d yet, you’re going direct to the waitlist. This is a very popular session so pop yourself on the list. If you’ve RSVP’d and can’t attend, PLEASE update your attendance to a ‘no’ so someone on the waitlist (which is about 60 people ATM) can attend. We’ll have a packed house so this is much appreciated!! In our annual survey, we asked what topics you are interested in & ‘building/scaling product teams’ was #1 so we’ll kick off the year with… How do you arrange the puzzle pieces of roles, responsibilities and people when building or scaling a product team? – Division of labor: how do we grow from one to three to many product folks? – End-to-end management of product elements/features, or product owner and business owner roles? – What does a Head of Product do? – When do startups need to hire a product person? This will be interactive, there will be some book giveaways and Rich invites us to ‘call BS’ on anything. Hope to see you there! Big thanks to Zendesk for hosting the evening! Rich Mironov is a 30-year veteran of Silicon Valley tech companies. Rich coaches product executives, product management teams and agile/lean development organizations. He also parachutes into software companies as interim VP Products/CPO to address company-level product/market/leadership issues. Rich has been the “product guy” at six Silicon Valley start-ups including as CEO and VP Product Management. Since 2002, his long-running blog has covered software, start-ups, product strategies, and the inner life of product managers. Rich is the author of “The Art of Product Management” (2008), and founded the first Product Camp. He has a BS Physics from Yale and an MBA from Stanford. 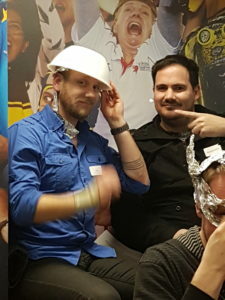 November Summary: Product Manager v Product Owner! How many times can the product community talk about the differences between product managers & product owners? Apparently we’re not at max conversation yet! This was one of the topics suggested during Product Camp and while it didn’t have enough votes on the day, we had several people ask us to run it as a session. Steve Bauer, a product manager at Telstra Wholesale assembled 3 folks with different backgrounds who have been across the 2 roles to hash out the differences & how they can work together. Our panelists included Michael Sloan who has recently changed roles from product manager to product owner at NAB. Nadia Gishen who’s currently a product owner at Aconex but has been a product manager before. Manoel Pimentel is an agile coach at elabor8. Before kicking off the discussion, we wanted to know what roles the audience had – were they more owner or manager? Much to our surprise, they were neither! In the audience, 40% were not product owners OR managers (!!!! ), 25% were product managers, 20% were doing both roles, 15% were product owners. If you work in product, you already know companies define the role in a variety of ways. If you are a product manager and work with a product owner (or vice versa), how do both of you set yourself up for success? Our panel agreed that talking with each other to clearly understand what you feel responsible for and what the company thinks you’re responsible for is required. This should be a conversation you have – not a job description. The business analyst (BA) role typically sits between product & development to write very detailed requirements but with the rise of the product owner role, BA roles are disappearing. A danger of being a product owner is being an order taker in terms of what is built, how & when. Product owners need to think & talk about how they can support both the product manager and the team. They can add value in many ways so determine what works best for your current situation. There was some conversation regarding ‘product manager’ being a cooler title than ‘product owner’ – until Manoel suggested the future title will be ‘problem owner’. Thank you to inspire9 for hosting!!! This was our last event for 2017. Product Anonymous will kick off in February 2018 so sign up to our newsletter, add yourself to meetup, follow us on twitter, join the slack group, follow in instagram… all that good stuff! See all the links. At our September evening, we had 5(!) folks talk about using chatbots and voice activated products within your product. Keith Swann began the evening with a bit of background on chatbots. Keith is a Lead Consultant at Elabor8 and while he was at Sensis / Yellow Pages he was able to work on bots. Daniel Galindo, the lead ontologist at Sensis, joined him in the presentation to share with us some of the experiments they had tried with working with natural language requests. Did you know the 1st chatbot was ‘born’ at MIT in 1966? Eliza was a psychologist you could chat with. In 2005, IKEA introduced Anna which was another big leap for the use of chatbots. Chatbots come in handy for sharing information with people. A good example is to collect information via chatbot while the customer human is awaiting the customer service human. This can decrease the amount of human time involved in the call. Sensis used API.AI and Python.AI for their business search in this manner. Keith also talked about how chatbots can be easy to create – but it’s not easy to make it work correctly. It’s also not a set & forget product as you need to continue to manage user expectations. One of those expectations that’s the hardest to get right is the natural language of the chatbot. Getting this right is important as it impacts on people’s engagement with the service. Jen Leibhart & Stuart Hill from Australia Post talked about developing a chatbot as an experiment & how to approach giving your chatbot a personality. The team used an internal hackathon as the opportunity to experiment. They wanted to drive awareness and traffic to a MVP product they were working on and the primary audience for the MVP were digital folks who used Slack on a regular basis so a Slackbot was a given. A few weeks after the hackathon they focused on the Slackbot, put in a little more effort and launched the bot across multiple slack workspaces. Six months after that hackathon, the Slackbot still has limited functionality but does indeed drive traffic. The next experiment is to see how conversation increases that engagement. Stu was looking at how to build conversation with the bot. This includes thinking about both tone of voice and attitude. Just as you’d think about voice when building a brand or website, you need to translate that to the bot. Stu thinks of it like one of those ‘choose your own adventure’ games. You need to think through the conversation a human will be having with a bot. To help give a bot more personality and be useful, Stu has been creating conversation maps to think thru the variety of answers the bot needs to provide. While it’s great fun to teach the bot to tell jokes, you need to make sure it always leads back to delivering value. As with any channel, will it reach your target market? Is your audience using FB or Slack or something else? Focus on 1 task that can be done well. You can expand beyond 1 after that’s working well. Use conversation maps to ensure the bot delivers the information required. Give it a go, learn & experiment!!! Srinjoy De works at RACV in their New Products team. The team are currently working to bring intelligent tech solutions for the home. Previously he was at Catapult Sports, a leader in wearable athlete analytics for elite athletes. Srinjoy talked about the possibilities of using voice technology to improve customer experience. Washing machines, fridges, cars and other machines are now loaded with Amazon’s Alexa. With Google Home recently launching in Australia, we’ll start seeing more and more voice products. At RACV, they are running a trial using Google Home in some resorts. When you enter your room, there’s a Google Home which you can ask about the local weather or traffic or other holiday related queries. Using the device to play music is popular though in the future it could become a personal concierge (by controlling the lights or more). Since the device is so new to the market, we wondered what the adoption & onboarding was like during the pilot – Srinjoy said people adopt the technology quickly. Thank you to Fiona Knight for volunteering on the night & helping to pull this blog post together! 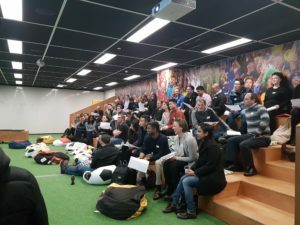 Big thanks to MelbourneIT for hosting us! The ultimate question – product owner? product manager? For our last event of 2017, we’re going to talk about 2 product roles – owner vs manager. This was a suggested Product Camp talks which we didn’t get to on the day so here we go! This is often a hot topic and we’re sure there will be a healthy debate about the definitions and how to navigate the roles and conversation about the roles. Steve works for Telstra Wholesale as a Product Manager, and is focused on building new mobile network features. He loves it when customers find new ways to use his products to solve new problems. He started his PM career in London while working with companies such as Samsung, Symbian and Nokia. After meeting the Queen he returned to the colonies to write about himself in the third person. Mike recently changed roles from product manager to product owner at NAB. He loves using digital solutions to solve customer problems. He has worked across wearable technology, a 30b investment platform, mobile apps and web. Also recently completed a voluntary position as a public relations manager for a nonprofit executing a digital, social media and communications strategy. Nadia is currently a Product Owner at Aconex, however she has also been a Product Manager in a previous role. Her path to the Product space has been different than most, touching on psychology, sport, and recruitment. This strong interest in working with and helping people has led her to enjoy working with technology that helps people do their job. Working with Enterprise systems has provided interesting challenges but she’s ultimately driven by providing great solutions. Manoel is a catalyser of changes, author of the book ‘The Agile Coaching DNA’, speaker, cyclist enthusiast, and Agile Coach at Elabor8. He has over 20 years of experience working as a designer of solutions and helping software development teams to create better ways of work at different organisational levels. RSVP for Thursday November 23rd! July wrap-up: You can prototype ANYTHING! 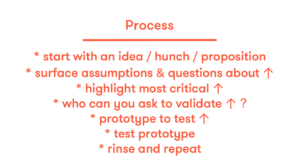 Prototyping – typically we digital folk think of going from some sketches to maybe a clickable prototype then to a fleshed out, semi-built format which we can test on. But what if your product wasn’t digital? And even with digital, can you do something different? Jes Simson is a product manager of greeting cards. Not digital but paper. And she loves to prototype. Having a physical product reminds us of the importance of risk. When you’re producing 1,000 products a year with an expensive production cycle, you want to test & validate along the development cycle. In the grand scheme of things, there’s a lot of similarities between digital and physical. Start by looking at your insights & research. Prototype and soft launch with 1 item until you’re ready to go bigger and branch out. Jes says a prototype is just a question embodied – and first you need to decide what will kill it? Brainstorm your assumptions in each category (desirability, feasibility, viability). Try to surface every assumption you have & use tools like a risk template in order to get as many as possible. After you’ve discovered your assumptions – rank them! Take the riskiest assumption & decide what your questions are. Find the cheapest way to test this. ‘Cheap’ could be money, time or the people involved. Some of the ways Simson tests assumptions are taking a short period of time to create a mood board and see if it resonates with card buyers. This is quick to produce & quick to get feedback. 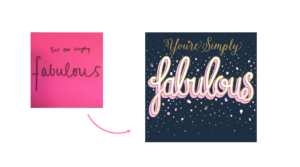 One ‘fabulous’ example of a prototype Jes shared was using a post-it note to illustrate you could fit the word ‘fabulous’ on a card – that it wasn’t too many characters and you could stylize it in such a small space. Point made & progress continued. Ask yourself who’s in the best position to answer these questions? You might not be able to access them depending on budget or time so … who’s available? Be willing to throw things away, to iterate quickly and focus on the getting to no. 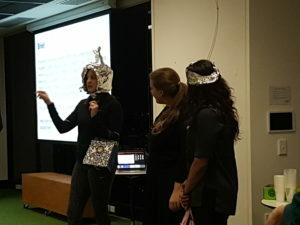 Who is in the best position to answer your questions and who is accessible… Use them as test subjects..
To help us understand you can prototype ANYTHING, Jes gave us aluminum foil and a challenge. This then became the most photogenic Product Anonymous session EVER. A big thank you to Jes for a great talk and to Sportsbet for hosting us! Once again, a huge thank you to Fiona Knight for taking these notes! Our June session brought together a panel who lead a team of product managers – as well as a product. It was a fantastic evening covering a wide range of topics, from cats and racehorses to ***holes. We were joined by Susan Teschner from 99designs, Luke Bongiorno from Nintex and Rachel Morley from REA. Product people always have diverse backgrounds – our panelists included. Susan has a political science degree and accidentally fell into tech via project management. Rachel was studying Law & Arts degrees before getting enticed into this new thing called an ‘intranet’. Luke started in tech but realised it wasn’t for him. Fortunately he was in a company with opportunities that lead to product management. How do you nurture product management teams? What do they need? Rachel, Susan & Luke all mentioned that managing product folks can be challenging since PM requires such a broad spectrum of skills & interests. Susan & Rachel talked about how a great product team is made of people from across that spectrum but that diversity is part of the challenge of managing them and helping each individual to grow in their career. Luke looks at how they can build their skills to be more holistic. What’s it really like managing product folk? Rachel finds it’s sometimes like looking after a bunch of cats that scatter when they see you. While Luke compared us to managing racehorses who are strong willed leaders with a range of skills and experience. Tips? Show them respect. Nurture the diversity. Encouraging communication with their peers and other teams. What does the business expect of the product management team? What do you ask of your team? As with much in product management… it depends! 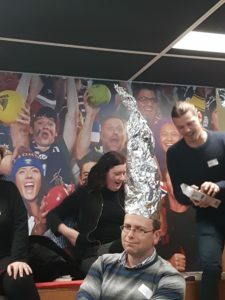 REA is mature in understanding what it wants from a product management team but at previous roles Rachel needed to champion the value of a product management team. These days she focuses on creating the best opportunities for work relationships, establishing those relationships between people & creating harmony. Luke is helping his team understand their boundaries & show them how to have space to do their job. Susan asks for a focus on the goals. Doing the impossible by being down in the detail and up at 30,000 ft keeping an eye on the end game. We have to learn to live with some fires. The incredible attention to detail and passion for delivering great products is the very thing that can also distract us. Cue the conversation about product people fighting fires versus keeping an eye on the long game. Going from product manager to product director – what is it like? Are you still working on the product? Luke is relatively new to the role and learning – while still influencing all of the products. Rachel added that doing actual work on the product depends on the size of the team. If you have more than 8 people, you’re in a true leadership role & need to love helping people rather than the products. Susan thinks it can differ depending on how you define success and what it means to you. Being successful doesn’t always have to mean managing people so you should decide what is meaningful to you. Liz brought up the difference between rock stars & superstars which come from the Radical Candor framework – TED talk or check out the book and site. How do you keep the alignment with product managers and their development teams? Lots of consensus on making sure there is a product vision across all teams, making sure there’s clear alignment on the objectives and measures on how they will achieve the objectives. Rachel believes clear goals are the way for teams to be autonomous and self sufficient. Product managers have broad & different skills sets. What are the detailed or deep skills product managers need? Susan — There are lots of different kinds of products that need different kinds of product managers. We need the good old ’T’ person. Good coverage of the basics and deep knowledge of something — UX, data, growth, whatever they’re strong in and passionate about. Rachel – Always talks about goals. Rachel gives them time to look at their goals & sends the prioritisation list to the executive team. Being able to focus on the goal and prioritize the things that will bring you closer to the goal is important. Being busy and getting lost in the detail can be a distraction. Luke – Something to watch for is product managers who work on what they’re good at and avoiding goals that might not play to their strengths. Bring the product folk together to talk through this – make sure the team talks about strategy and doesn’t only talk about the tactical. What are the top three things that makes a good product manager? Rachel – Start at hiring and look for attitude, aptitude and empathy. If someone is committed and enthusiastic, that’s a great start! Thanks again to Nintex for hosting! See you next month at Sportsbet where we will be talking Prototyping. RSVP now. 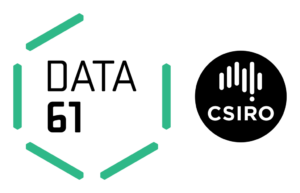 If you are responsible for a product - at a start-up, large company or thinking about a career in product management, we'd like to meet you. We meet a Thursday evening every month. See our events page, newsletter or subscribe to our google calendar to stay up to date.